Thank you for selecting Bellaire Inn as your place to stay while in Bellaire. We strive to provide all of our guests a positive lodging experience, and ask for your cooperation of the following guidelines: Full payment is due upon arrival, no refunds for early departures. Smoking is not allowed. 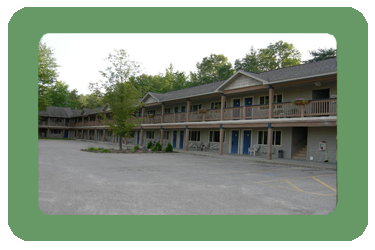 All our rooms are non-smoking/penalty fee is: $250.00. Please find designated area to smoke. Any evidence of smoke in the rooms will be fined. Our smoke detectors are very sensitive, and are easily activated. We have a no pet policy in all of our rooms. Penalty fee is $100.00 per stay. Check-out time is 11:00 a.m. You may elect to leave the keys in room or return them to front desk. Quiet time is 11:00 p.m. Please refrain from gathering outside the rooms after this time. Towels and linens are there for your personal use (not for cleaning bikes, boots, etc.) while in room, and are to remain in the rooms during your stay. If you need cleaning rags please ask. Rooms are inventoried and inspected daily missing items and damages will be charged accordingly, this includes linen products (towels, bedding). Parking spaces are not marked, however, please allow each guest to park in front of their rooms. If you have more than one vehicle please park in outer area. We do not have boat or trailer parking. All cancellations must be called in by 3:00 p.m. on the required day-person to person only; recorded phone messages are not accepted. On weekdays (Sun. - Thur.) you must cancel 72 hours prior to your arrival date. If your stay includes weekend seven day notice. See holiday below. On weekends one week prior, holidays (Fri., Sat., Mon.) you must cancel two week prior to arrival date. We do not book or hold multiple rooms. Each party is responsible for booking and payment. All who fail to comply with our cancellation policies will be charged in full for their reservations. ENJOY, AND THANKS FOR STAYING WITH US.